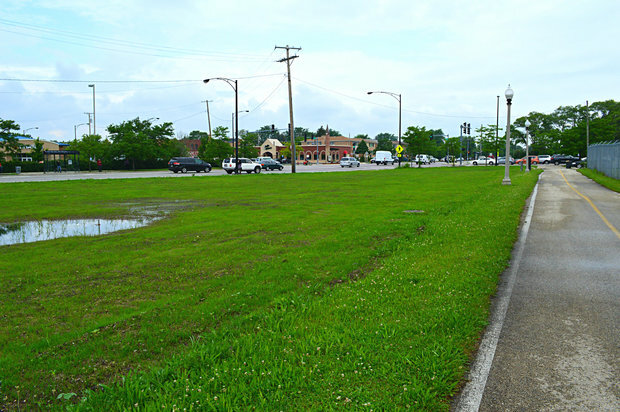 WEST RIDGE - The former Cineplex Odeon Cinemas parking lot on McCormick Road - described as an "eyesore" by neighbors over the years - has new life, as fresh, vibrant grass now covers what was asphalt and weeds for a decade. The theater at 6385 N. McCormick Road closed in 2005 and was bought by Cheder Lubavitch Hebrew Day School in 2008 when they planned to build a new school campus there. Earlier this year, Rabbi Yitzchok Wolf, the school's executive director, told DNAinfo the theater had to close its doors after the water district significantly increased the property's lease rate. 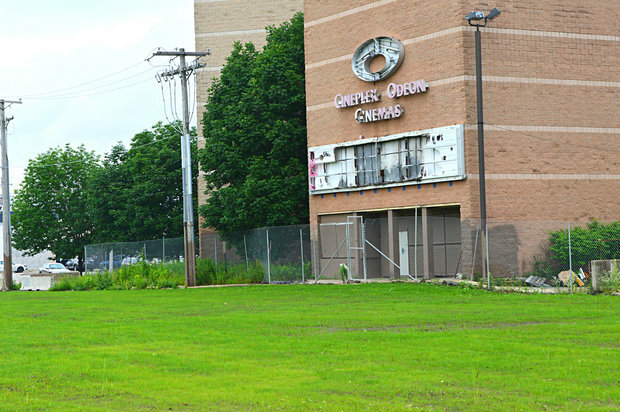 The theater's adjacent lot, where the grass now grows, is owned by the Metropolitan Water Reclamation District. In March, David St. Pierre, the water district's executive director, promised to rip up the parking lot, lay down sod and plant grass after the school announced it was in talks with a buyer for the property. However, Allison Fore, a water districts spokeswoman, said since then the Chicago Park District has agreed to take over the property's lease. She said Park District officials said they would agree to "discuss long-term plans once the lease is entered." Jessica Maxey-Faulkner, a Park District spokeswoman, confirmed the deal. Wolf said the Hebrew day school decided to build its new school elsewhere, but had made a potential deal with Banner Storage Group, a subsidiary of Northbrook-based Banner Apartments, to tear down an old neighboring car wash and convert the theater to a three-story self-storage facility. Now it looks like St. Pierre's promise is coming to fruition as the vacant parking lot sits as a wide open field. 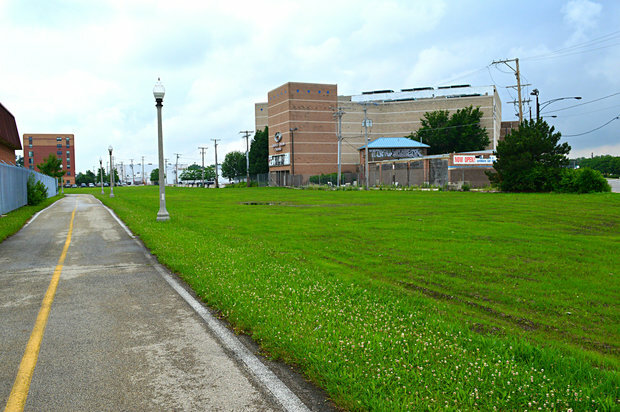 The North Shore Channel Trail, a lighted walking path and bikeway, runs next to the field and behind the old movie theater, parallel to the North Shore Channel. Neither Wolf nor representatives for Banner Storage or the Park District could be reached for comment.